Taking a look inside the drinks industry, breweries have considerably more process steps to manage compared to manufacturers of soft drinks, as it is not just a matter here of adding syrup or other additives to water. Production begins with processing the malt, which is ground into grist. 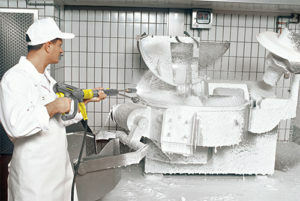 This process produces fine dusts which can be removed using mobile ATEXcompliant vacuum cleaners. Tanks, containers and pipework that form a closed circuit can be cleaned on the inside using permanently installed self-cleaning systems, known as “cleaning-inplace systems”. High-pressure solutions are often used in open tanks and containers. For outdoor cleaning and cleaning tiled walls and floors, stationary high-pressure systems with multiple ports are used. 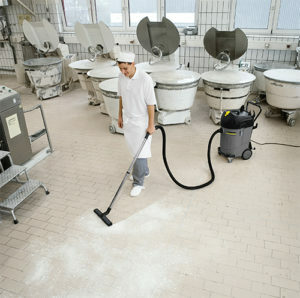 With the right accessories, highpressure lances can be converted into surface cleaners for walls and floors. They achieve up to 10 times the area performance of standard highpressure jets. Since the humidity in breweries is very high, critical areas are cleaned with steam cleaners in order to prevent mould formation. 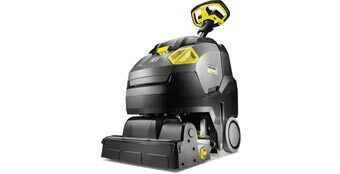 Once cleaning is complete, narrow scrubber driers which are easy to manoeuvre through the confined walkways vacuum up all of the resulting water. The above examples show that, while the cleaning steps required are similar, they vary considerably in terms of the required synergy. That is why, across all sectors, it is essential to have the right combination of the appropriate cleaning technologies, machines and agents. In order to maintain the quality of the food produced in the plant at a high level, while at the same time incorporating cleaning into the production processes in the most effective way, a cleaning concept that is tailored to the needs of the respective industry is essential. Another factor which is common to all branches of the food industry is water treatment. In addition to conserving the resource itself, cost also plays a key role here. Water treatment systems are often a worthwhile investment as the water can be used again once the water and cleaning agent have been separated, which considerably reduces consumption. This applies to vehicle wash systems in particular, as water use is especially high here. Which manufacturer is best for me? – Does the manufacturer meet all of the standards which apply to your industry? – Does the manufacturer have expertise across all cleaning technologies? – Does the manufacturer have experience of tailoring cleaning concepts to individual customer requirements? 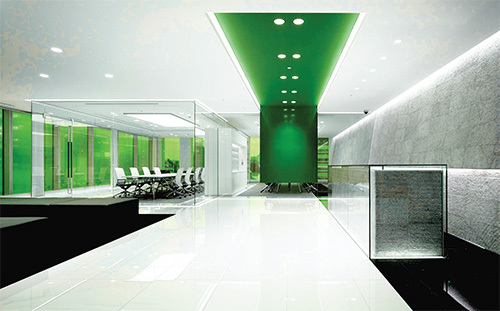 – Will you receive all cleaning technologies, products, cleaning agents and expert consulting from a single source? Economical use of resources is a challenge that the food industry will increasingly have to confront in the future. And this not only affects production itself, but cleaning too. 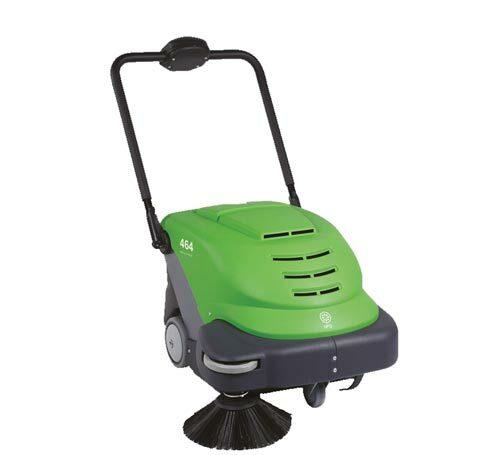 Leading manufacturers offer a special function on hot water high-pressure cleaners, for example, which maintains the water temperature at a constant 60°C. This is entirely sufficient for most cleaning tasks, and the ratio of fuel consumption to water heating and cleaning power is optimal. As a result, operating costs can be reduced. Steam cleaners are particularly eco-friendly; in many cases, they make the use of chemical cleaning agents unnecessary, as the hot steam kills bacteria. A further challenge is the intensifying spiral of ever-increasing pricing pressure and the need to provide consistently high quality. 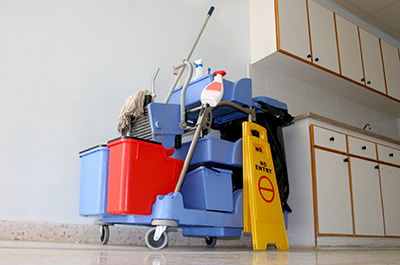 This means that, when it comes to cleaning, solutions that enable dayto- day cleaning tasks to be carried out as efficiently and thoroughly as possible will be increasingly in demand in the future.